Arrival in Almaty. Breakfast. 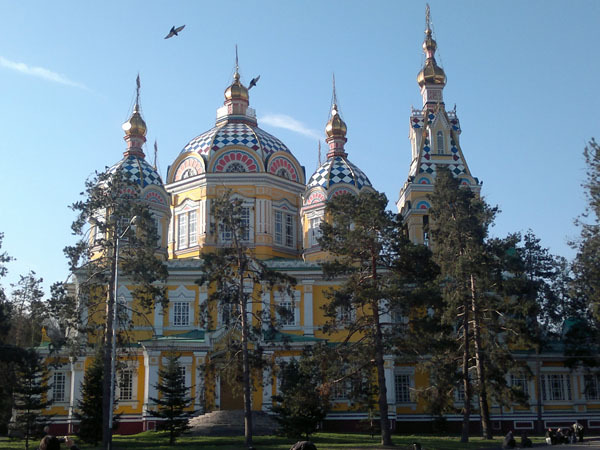 Sightseeing tour: Panfilov Park, the Cathedral, Museum of National Musical Instruments. 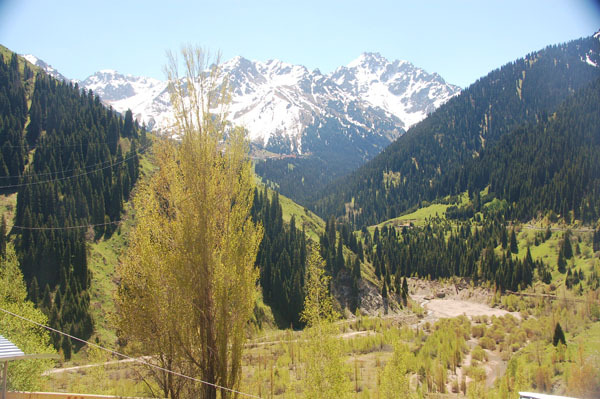 Explore Medeo valley, with its high altitude sports complext and stunning mountain views over Big Almaty Lake reservoir. 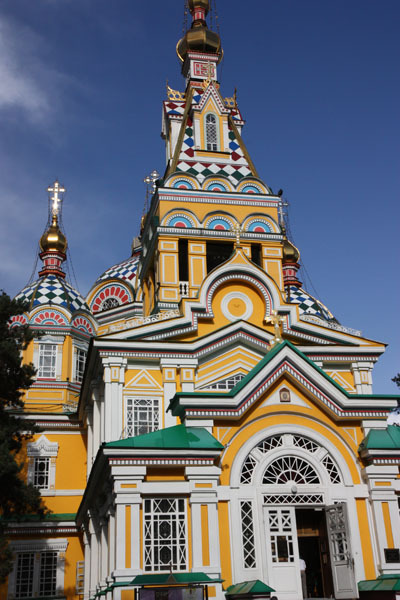 Transfer by car to Almaty rail station and take an overnight train to Shymkent City. Arrival in Shymkent. Breakfast. 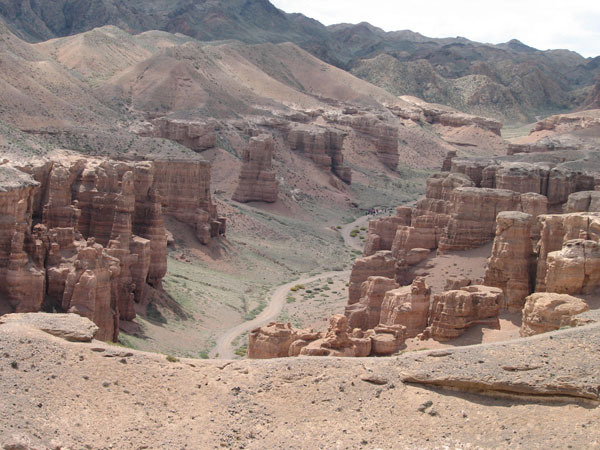 Sightseeing drive to Shaulder Village and the Otrar ruins. Visit the 12th c. Arstanbab mausoleum. Drive to Turkestan City. Accommodation at the hotel. 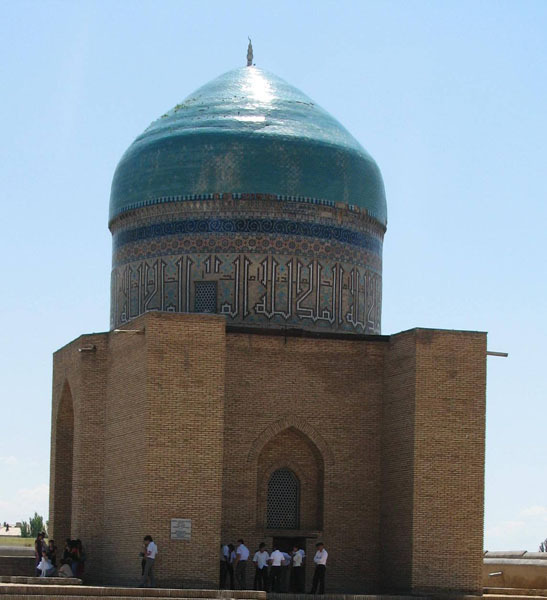 Visit the Akhmed Yassavi complex which includes mausoleums, mosques and Turkish hammams. Breakfast. 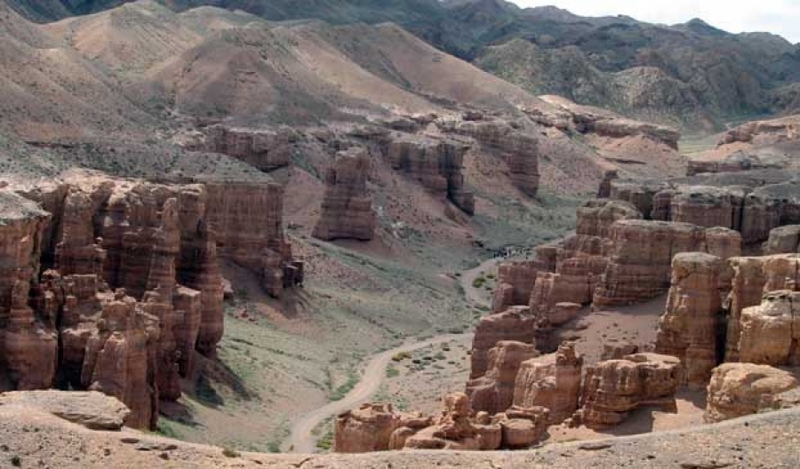 Scenic drive to Kzyl-Orda city through ancient fortress of Turkestan. Photo opportunities in Sairan which was once the capital of White Orda. Accommodation. Dinner at local restaurant. Breakfast. Tour the railway-station and explore ancient Kzyl-Orda, in the heart of Silk Road. Sightseeing day drive to Baikonur through the ancient settlement of Korkyt-Ata, the museum city. This architectural complex is dedicated to the Kazakh philosopher and founder of Kazakh stringed and bow music, Korkyt-Ata. Arrival in Baikonur. Accommodation. Dinner at the National House. Discover the Baikonur Cosmodrome, the world's first launch site complex, now leased to Russia until 20150. This is where Sputnik was launched! See the Proton and Energia rockets and the Buran space ship. Transfer by car to the Soyuz carrier rocket test complex, then to Gagarin's Start, named after the famous cosmonaut. Tour the museum, and the memorial houses of Gagarin Korolev . Dinner. Drive to Kzyl Orda. Photo opportunities in the beautiful valleys of Kazakhstan. Arrival. Take a flight to Astana. Astana became the capital of Kazakhstan in 1997. 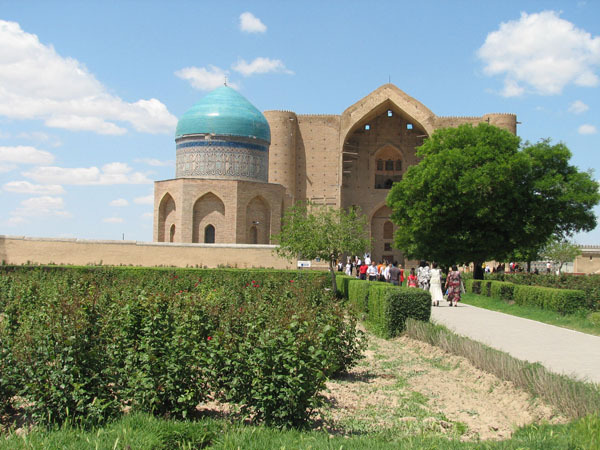 Purpose-built, it rises from the surrounding steppe almost magically. Its architecture is modern, but with strong Kazakh themes. Visit administrative center of Astana on the left bank of Esil River, the Presidents Residence "Oq Orda", the Palace of Peace and Reconciliation, and the futuristic Bayterek tower, the new landmark symbol of Astana. Farewell dinner. 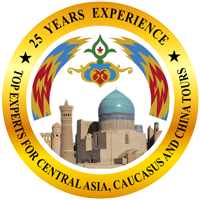 Visit Sairam, the old capital of the Mongolian White Horde and Kzyl-Orda, the old capital of Kazakhstan! Explore Soviet Kazakh culture as you tour Baikonur's Cosmodrome and space museums! Astana, once an oasis in the steppe, now a vibrant, ultramodern capital city.